Find out how you can save money with these 15 free things at Disney World! UPDATE 3/2018: Hop on over to this post for a list of even more Disney freebies! I may be one of the only ones who thinks this but Disney isn’t really that expensive. Especially if you’re an annual passholder because you get lots of deals and discounts that make going to the parks a little easier on the wallet. Don’t get me wrong, it definitely isn’t cheap and for some it takes a long time to save up the money for their family to go. Which is why I think it is AWESOME that there are things at the parks you can save on (or get for FREE). Lately things are changing at Disney, and some of the things that were once free aren’t anymore (like parking at the resorts). There’s been loads of talk in forums about how unfair this is and that Disney is all in it for the money. Personally I’m of the opinion that Disney is a business and that they’re just charging for things other resorts in Orlando have been making money off of for years. And it won’t stop me from going anyway. But even though things have changed lately there are still plenty of free things at Disney World. You just have to know where to look! Here’s the list of 15 things you can get for free at Disney World! 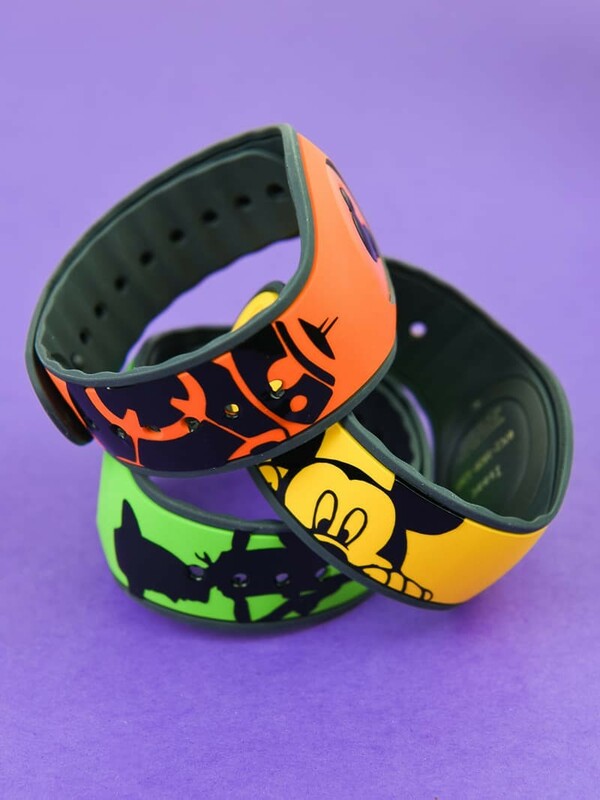 If you want a decorated magic band, you can buy them at the Disney Parks. BUT. If you book an on-property resort you will receive magic bands in the mail (they’re a solid color…which you can pick out via the My Disney Experience App). You can also decorate your solid magic bands, like I did here! Sorcerer’s of the Magic Kingdom (or SOTMK for short) is a fun, interactive card game that you can play with your family while waiting for Fastpass+ reservations! Head to the Firehouse on Main Street USA at the Magic Kingdom to pick up a pack of cards and get instructions for the game from Cast Members. BONUS: If you go to the Halloween or Christmas party you can get a game card for the event! You can get your instructions and game maps from The Crow’s Nest where Cast Member’s are waiting to help you on your way. Join Captain Jack and his crew, and help them complete all five missions. Club Cool is a place Chris and I love going to for an extra jolt of caffeine throughout the day. Sponsored by Coca-Cola, they offer eight different types of soda from around the world. It’s a great way to cool off during the hot summer months. And, if you’re a Club Cool newbie, you definitely need to try Beverly. It’s delicious! Chris and I have never played this game because we do not have kids, but we see families with young kids play it all the time. It is similar to the Pirate’s Adventure at Magic Kingdom. Most of the quick service food places do not offer free refills at Disney, so it’s good to know the ones that do. At Hollywood Studios, you can go to the Backlot Express beside Star Tours and get refills on drink. At Epcot, you can get refills at Sunshine Seasons Food Court and Electric Umbrella. At Animal Kingdom Restaurantosaurus in Dinoland has free refills, and so does Tortuga Tavern and Be Our Guest at the Magic Kingdom. Bottom line, there is at least one at each park and if you or your kids are thirsty these are the places to go! The AOA Resort offers free drawing classes open to any Walt Disney World resort hotel guest at 11am, 2pm, and 5pm. The Animation Academy in Disney’s Hollywood Studios also has drawing classes! Celebration pins are some of my favorite things to get while at Disney! 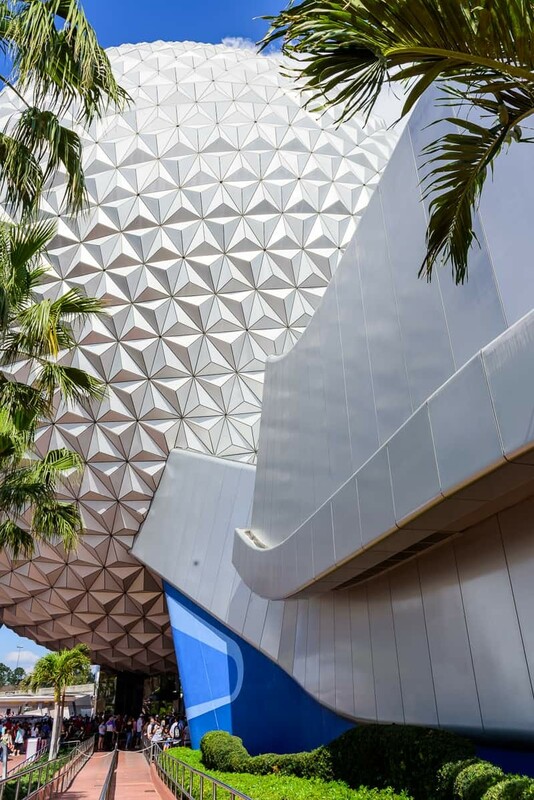 There are nine types of pins (ie: birthday, first visit, anniversary, etc) that you can ask for when you check into a Disney Resort or at guest relations, Disney Vacation Club booths, and other locations inside the parks. While buying pins cost money, you can trade any pins that you have with Cast Members around the parks. Walk up to any Cast Member you see (they all have lanyards) and ask to see what they have. Not only is it a fun interaction for the kids, but they could end up getting a pin they have been looking for for a long time. Never, ever buy bottles of water at any of the Disney parks! You can head to any quick service place at the parks and ask for a cup of ice water, and get it for free! Once the sun sets, head out to the pools at your resort for a complimentary movie under the stars. Check with the front desk to find out the movie schedule for your resort! All on-property resorts offer free transportation to and from the Disney parks. Bus service starts an hour before the park opens and they continue after the parks are closed. If you rent a car while at Disney, you get a free parking pass when checking in to your on-property resort. This parking pass means you can park at any of the Disney Parks for free. ** UPDATE: Starting on March 21, 2018 Disney will start charging for overnight parking at the resorts. If you have made a reservation BEFORE this date you will still be able to park for free. However, parking will still be complimentary to all resort guests parking at the parks! If you fly into Orlando Airport, Disney provides a shuttle bus that picks up you and your luggage and delivers you (and it) to the resort. Once you get to your room, it takes about an hour or so for them to deliver your luggage to you though. So if you need an item out of your suitcase right away, pack it in your carry-on! A fun light (and music) show you can watch from any of the resorts on the monorail (as well as the Wilderness Lodge). If your room does not face the Seven Seas Lagoon, head out of your resort and walk down towards the water. Find a good spot and take in the lights! Are you a fan of using the Photopass Photographers inside the parks? I am! They are stationed around the parks and are willing to take pictures of you and your families! Most people don’t realize that you can give them your camera to take a photo as well so you do not have to buy a print from Disney. Chris and I do that often, but we also get our Magic Bands scanned to see the photos they took as well. 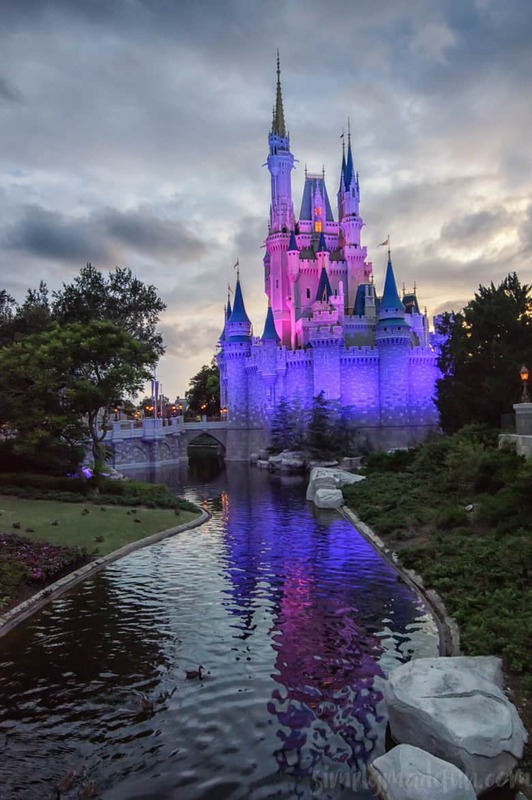 Readers love these Disney Vacation Tips! What are your favorite free things at Disney World? We got my daughter a lanyard and set of pins on our last WDW trip. It was a big hit in Hollywood Studios, but we had a very hard time finding cast members with pins on the day we were in the Magic Kingdom. Fortunately, she had a mix of pins she didn’t really want to trade, so it wasn’t a major disappointment. Still, it struck me as weird. Those card games look really cool. Wish I had known about those! Thanks for sharing at the Twirl & Take a Bow Party! Love having you! I didn’t know about the free drink refills. I will have to remember that next time. We love free drink refills! Definitely saves a little bit of money. hahaha Yes, it’s definitely a must-try! Great list! We also loved having the kids’ names written in different languages when we visited the countries around EPCOT. And the Tiki Torch lighting at the Polynesian resort was great to see with the kids too! I have never heard of having names written down at all the countries in World Showcase! I am definitely trying that the next time we’re there. That sounds like such a fun keepsake! Also, we’ve never done the Tiki Torch lighting either. Man…I need to get on that! haha Those are great suggestions! Another thing u can get for free is trading cards on the different types of transportation my daughter got one from the train the monorail was out when we got to it. The free parking comes with any stay at a Disney hotel, not just with a car rental. But I get what you’re saying. I live a little over an hour away so no car rentals for me. 🙂 Great tips! Pinning for future reference. Disney Resorts will start charging for parking for anyone booking a vacation after March 21, 2018.. Thank you for commenting to let me know! I’ve changed it on other posts but forgot this one.